Serbia’s Foreign Ministry has information that one of the country’s diplomatic missions in the US or Europe may come under siege, ahead of the trial of former Kosovo guerrilla commander and Prime Minister Ramush Haradinaj. “We have information that the Albanian diaspora is plotting a takeover of one of our diplomatic or consular missions in the United States or Europe in order to make Serbia drop its demand to [try] Haradinaj,” Serbian Foreign Minister Ivica Dacic said Monday, speaking to Radio Television of Serbia. The official added that Belgrade received the data from western intelligence services. 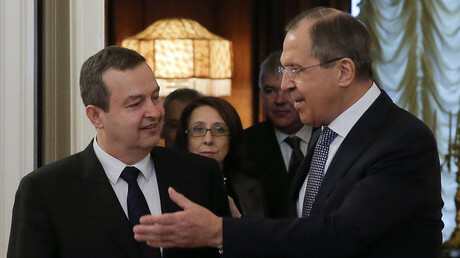 “This information came from a Western country, and the data included names and surnames of people, the name of the state, and the fact that our embassy or consulate may become a target,” Dacic said, as cited by TASS news agency. The details were not made public. Serbia has an EU diplomatic mission in Brussels, Belgium, as well as embassies in individual member states, and in the US. “It shows the lengths that Albanian politicians are willing to go – even terrorism,” the Serbian foreign minister was quoted as saying by Serbian media outlet Blic. It comes a few days after Serbian Prime Minister Aleksandar Vucic declared that Belgrade would demand the extradition of Ramush Haradinaj from France. Haradinaj was a rebel commander in the Kosovo Liberation Army in the 1998-99 conflict, and Serbia accuses him of war crimes against ethnic Serbs. He has denied any wrongdoing. 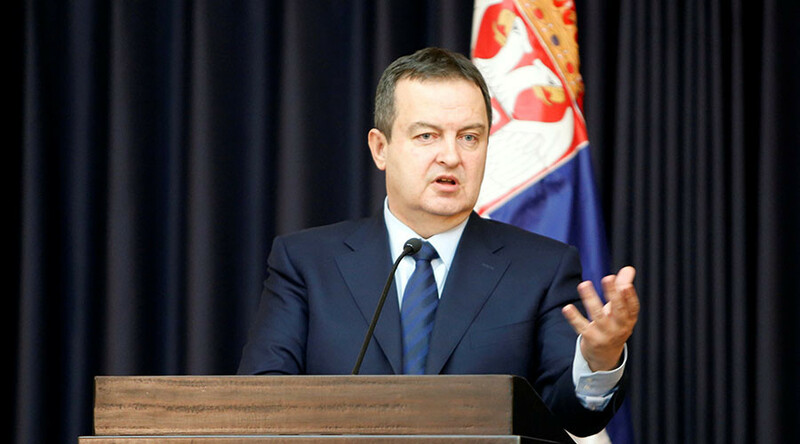 "Serbia will not give up the prosecution of Haradinaj or anyone who has committed crimes against th Serbian people,” Dacic said. Serbia does not recognize Kosovo as an independent state, still considering it a part of Serbia – as do five out of 28 EU members: Spain, Slovakia, Romania, Greece, and Cyprus.